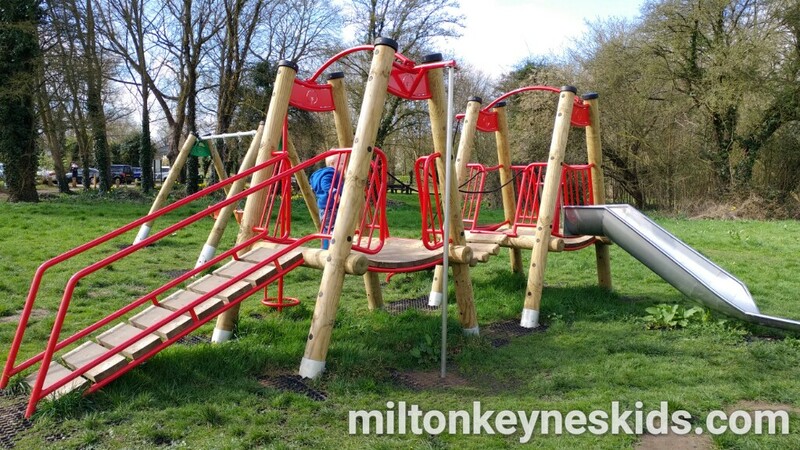 Simpson Park in Milton Keynes opened in 2016 and is particularly good if you have younger and slightly older children. Watch our video below to see all of the play equipment and then scroll down for all of the details. 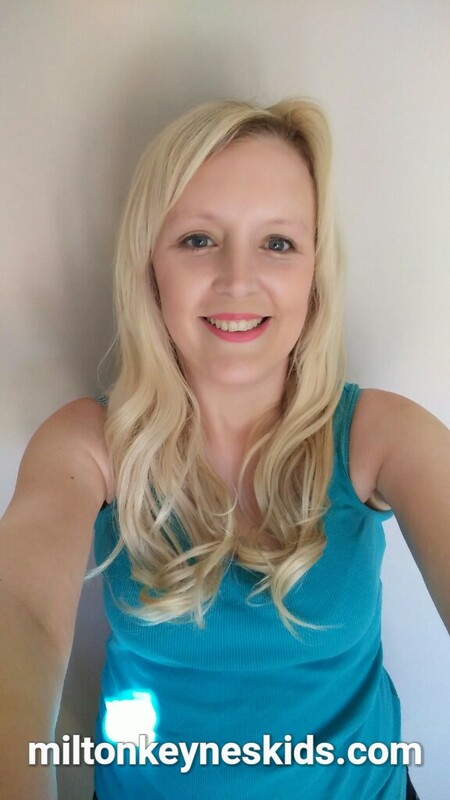 What kind of play equipment is at Simpson park? What else is at Simpson park? There’s a picnic area and it backs on to a big field. I’m sure you can go on a nice walk, but we didn’t explore that far. Where is Simpson park and where else can we visit afterwards? The best postcode is MK6 3AY. 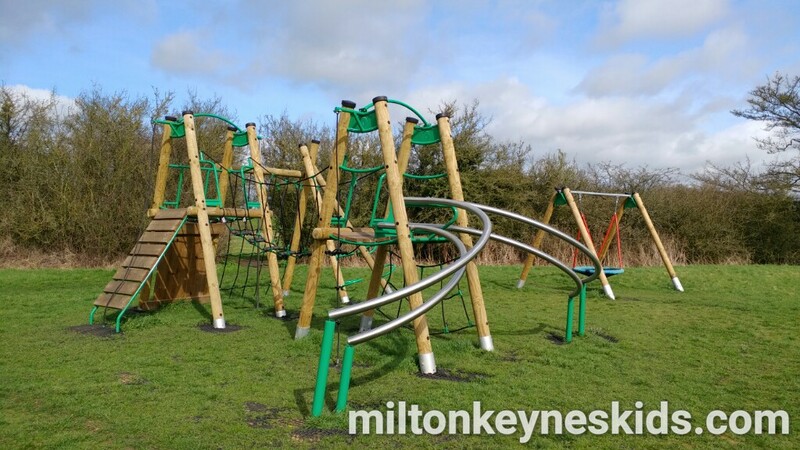 The park is located on Simpson Drive which just off the H9 Groveway in Milton Keynes. There is a car park. Within a short drive there’s Caldecotte Lake (the miniature railway is open on Sunday afternoons in the summer) and the Snail park in Walnut Tree. 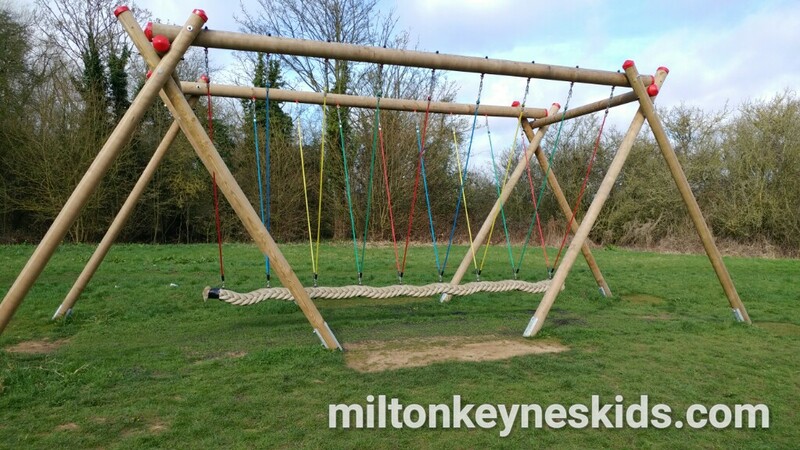 If you’re looking for more parks to visit do remember to have a look a look at the parks section of Milton Keynes Kids and to find out where everywhere is then here is our map.